Direct Mail: Here to stay..... because it works! We talk to movers every day that are looking for a new source of Moving Leads because their current leads aren’t generating enough business. Occasionally, movers ask about how effective Direct Mail is, thinking it is an outdated form of marketing. Direct mail works for movers! Why? Studies show that direct mail continues to have the highest response rates, and that's just the beginning. Dismissing direct mail is like walking away from a proven way to generate sales. Every un-mailed postcard is a potential lost move. The reason it works? Direct Mail is the best way for the Moving Industry to reach the right leads, at the right time with the right message. According to the Direct Marketing Association, Direct Mail has the highest response rate, other than telephone marketing, with more than double the response of any type of digital, social or online marketing strategy. Compared to other forms of marketing, a personal postcard is well received by homeowners. Telemarketing can be perceived as invasive and unwelcome. Oversold internet leads lead to too many phone calls that anger the homeowner. Emails are easily deleted. Pop up banner ads get ignored and sponsored ads all over social media are, well, a little annoying. You’ve got the best shot at introducing your company to a homeowner through direct mail. According to recent studies, most homeowners pay attention to what’s being delivered to their home. The days of mass mailings are gone. According to a recent USPS Household study, the average number of mail pieces a household receives each week is down from 24.7 to 19.1. What does this mean for you? Homeowners are much more likely to notice your postcard. And with MovingLeads.com, your postcard is NEVER mailed as part of a mass mailing or bundle of advertising. Your postcards are mailed first class, as a standalone piece, and are personalized with the name of the homeowner. 70% are curious to find out what’s in their mailbox. 42% of recipients read or scan mail pieces. Consumers who received offline direct mail advertisements were able to recall branding information 75% of the time. Consumers who viewed the same ads in digital formats were only able to recall the brand 44% of the time. Planning a move is a lot of work, so finding the right mover is a priority for homeowners. They know they need to hire a mover soon. When they notice your postcard in their mailbox, they’ll have found a potential moving company at just the right moment – and they’ll remember you! So, what do we mean by the “right” lead? MovingLeads.com Direct Mail service allows you to target your ideal customer. Verified leads ensure that you only mail to homeowner owned and occupied properties. 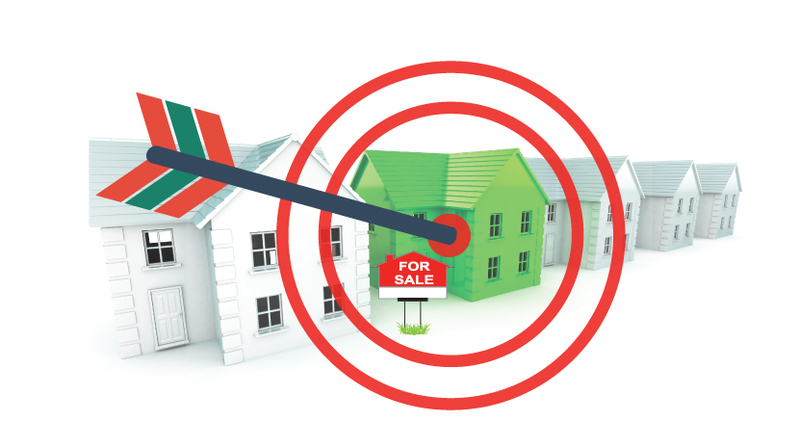 You can further target by the location of the move (the perfect neighborhoods) and the size of the move (3+Bedrooms only). 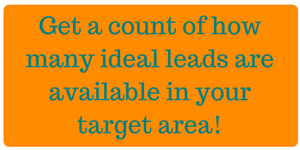 Instead of ineffectual mass mailings, you can target your leads to reach the customers you desire most. Also, Moving Leads are unique. These are homeowners that are moving out of an existing home to another home. This isn’t their 1st move; it could be their 2nd, 3rd, 4th. Therefore they are probably older and financially secure, making them very likely to respond to direct mail. But don’t forget about younger generations. According to a recent study, Millennials will have a cumulative $1.4 trillion in spending power by 2020. If you’re not marketing to them with direct mail, you’re missing out on a huge opportunity and large percent of the population. And what’s more, this generation is very accepting of direct mail, with 36% of people under 30 reporting that they look forward to checking the mail each day. Direct mail allows you to identify, verify, and target making it the only way to reach 100% of these leads in an affordable and easy way. Want to learn more about pre mover demographics? Check out What Characteristics Best Define Today's Pre-Movers? The "Right Message" is a personal, non-invasive introduction and "ask" for their business. A custom postcard is unmatched in its ability to establish an immediate connection with a potential customer. Emails are easily deleted, online adds are ignored, phone calls are invasive. According to a recent USPS Household study, 70% of Americans still believe snail mail is more personal than the internet. Your company is a professional moving company that can be trusted. Your company is reliable and licensed. Include License numbers and professional affiliations such as the BBB or AMSA. You have referrals. A testimonial is always a great addition. Make it personal! Include something that makes you memorable, such as a photo of your team. You have something special to offer. Let the homeowner know your company is available to help. Include a special offer that they cannot resist AND that makes them hold on to your card. It’s easy to contact you! Including your website, phone number and even email give them options for convenient communication. Another bonus is that postcards increase website visits! The reality is most consumers conduct internet research before they make a buying decision. Which moving companies will they choose to research? The ones that are asking for the business and direct them to the website. Homeowners need to research movers because it is a large purchase and they going to trust their mover with all their earthly possessions. 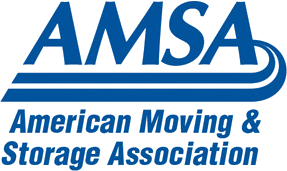 Homeowners will hire the mover that makes a personal connection and includes evidence that they are a trusted partner. Direct mail is a great tool for establishing that connection. Postcards provide homeowners all your information they need to make a decision about hiring you. The first sign that a homeowner is getting ready to hire a mover is listing their home for sale. With some forms of marketing, movers have to wait until the Homeowner fills out a form online. But direct mail is proactive. Movers can identify prime potential customers and actively reach out to those homeowners to ask for their business. The result of a postcard is a call to your company, which is based on the timeline of the mover. You’ll want to reach these potential customers as soon as possible after listing just as they are getting ready to start the search to hire a mover. While some homeowners are ready to hire the mover right away, most will wait until later based on the success of selling their home. Some wait until they are under contract or have a closing date. The good news is that postcards are held on to and homeowners call when they are ready. We call this the "refrigerator effect" because homeowners will keep your postcard on the refrigerator and call when they are ready. Postcards keep on working and working for you until the homeowner is ready to call you, the "right" time for them. We now offer DAILY leads. Learn more about how daily leads puts your company in front of the best leads at the perfect time in The Secret to Better Timing. It’s time to think about HOW to get started. At MovingLeads.com we affordably do all the work for you…Delivering the Right Message at the Right Time to the Right Leads. Our automated services save you money and free up time to work on your growing business. Due to our advanced technology, we can provide all of this for you: printing, addressing and mailing at lower costs. Read more about it here! Direct Mail WILL grow your business and we would love to be your partner in a successful direct mail program. We want to hear from you! Call us at 303-443-0767. We would be happy to provide you with a count of qualified leads in your target market or sign you up for our program.